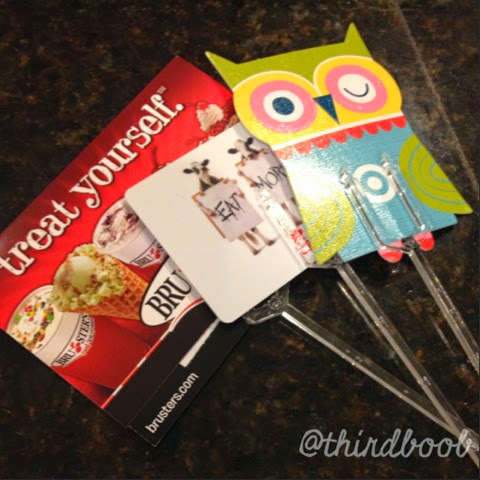 the end of the school year is quickly approaching and it is time to think about end of the year teacher gifts. 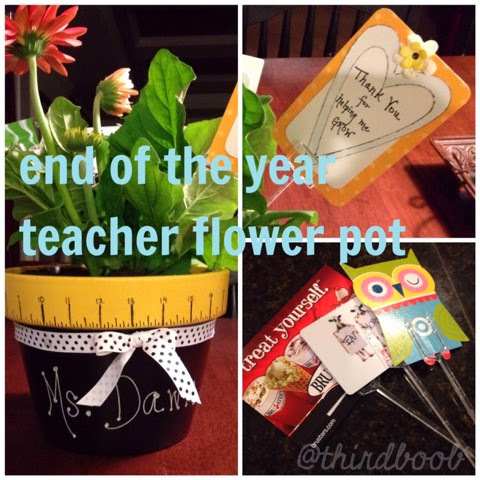 i am convinced that all teachers deserve a gift card of some sort as a teacher's gift but i love this pot to display the cards and give the teachers a keepsake to remember the year by. 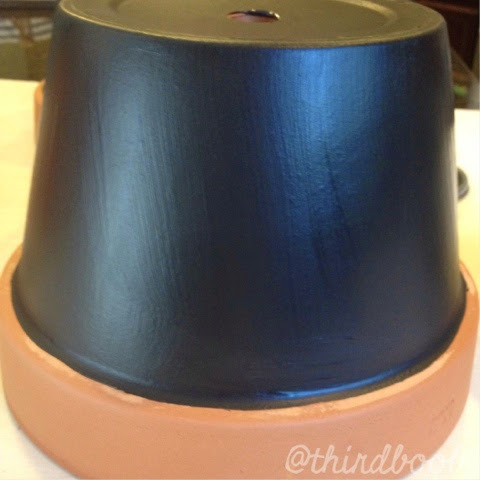 2) paint the bottom portion of the pot with chalkboard paint. 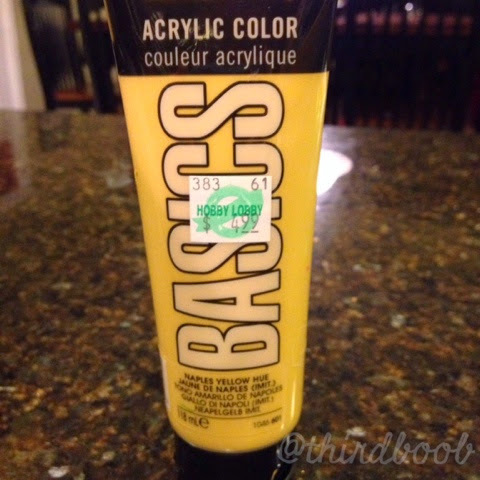 i love this paint because it goes on thick and only requires one coat. there will be plenty left to create other amazing projects. 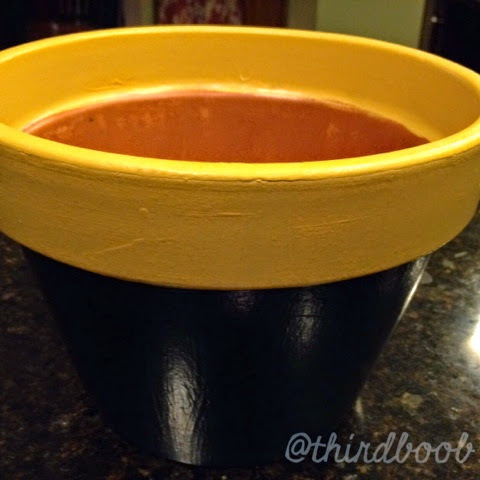 3) paint the top portion of the pot with a yellow acrylic paint. 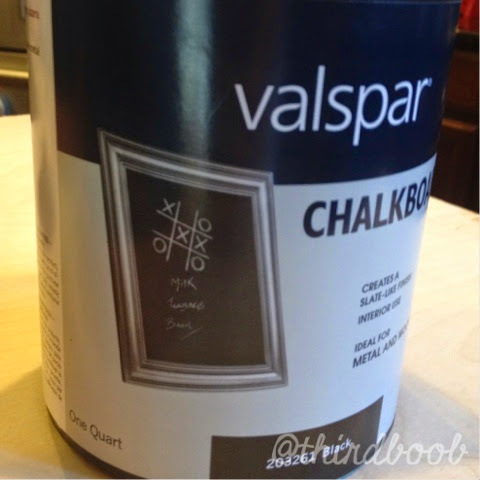 i got this paint at hobby lobby and love it as well because of how thick it is. i painted the inside of the pot as well to make sure all the clay portion is covered up to where the dirt will fill the pot. 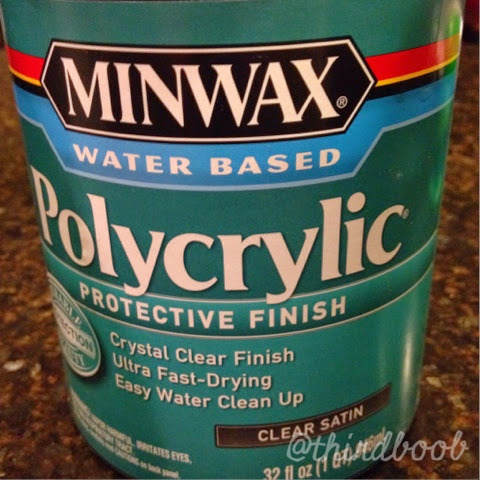 4) paint the entire pot, both inside and out with polycrylic finish. 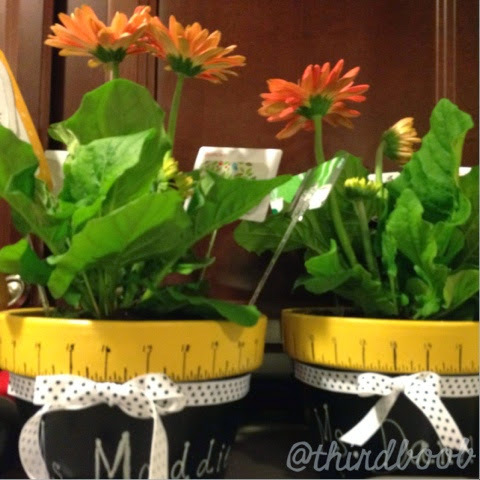 the pots need to be covered even on the unpainted areas if they are going to keep their painted finish after the flowers are watered. 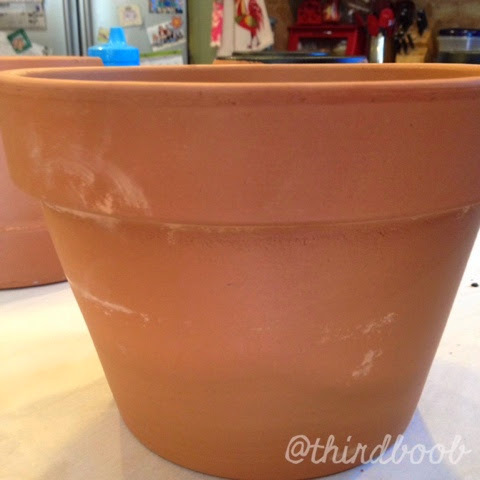 5) gather the tools you will need to finish the rest of the pot. 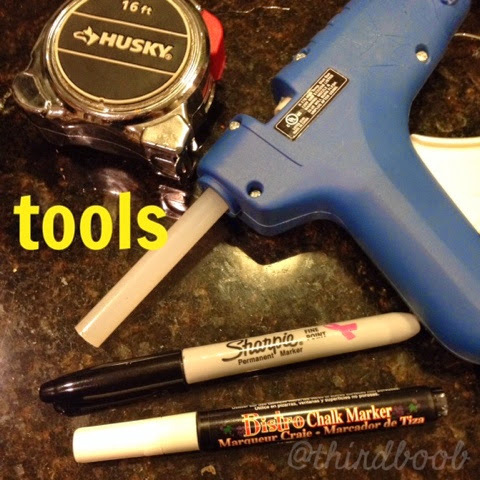 you'll need a tape measure, a glue gun, a chalk pen and a black sharpie. 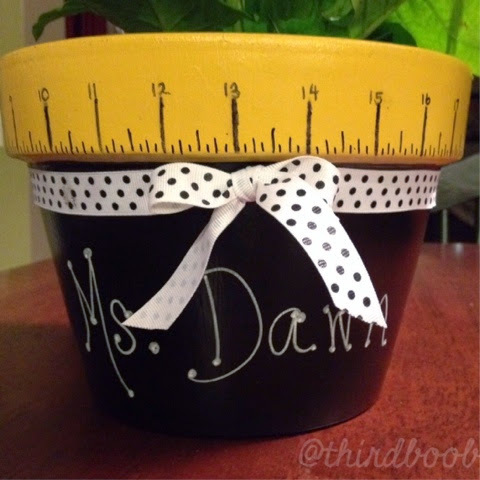 6) using the tape measure and the black sharpie, measure one inch measurements around the pot. label the inches by number. add the marks for the half inches and quarter inches. when that is finished, cut a large piece of coordinating ribbon and carefully glue it around the pot, tying a bow at the center. using the chalk pen, write in the teacher's name. 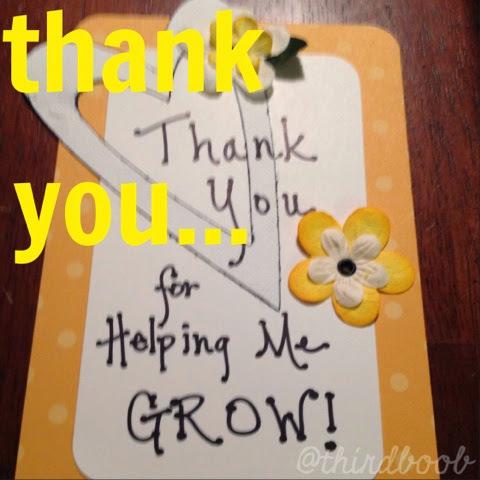 7) create a "thank you" note. i used old scrapbooking materials to create one i liked. 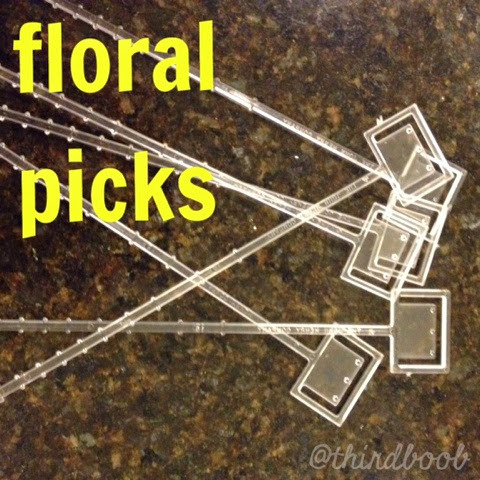 8) visit a florist or a floral department inside a grocery store and ask for floral picks. 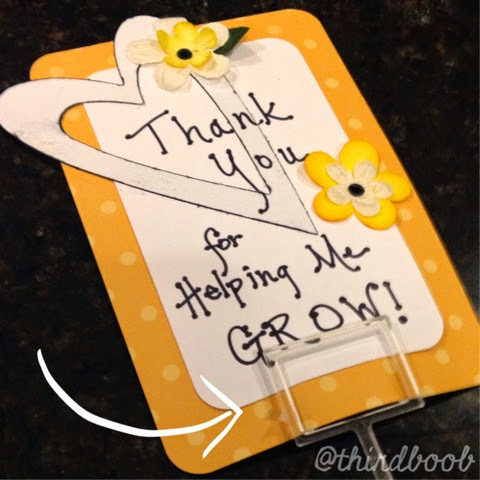 use the picks to hold the thank you note and several gift cards. 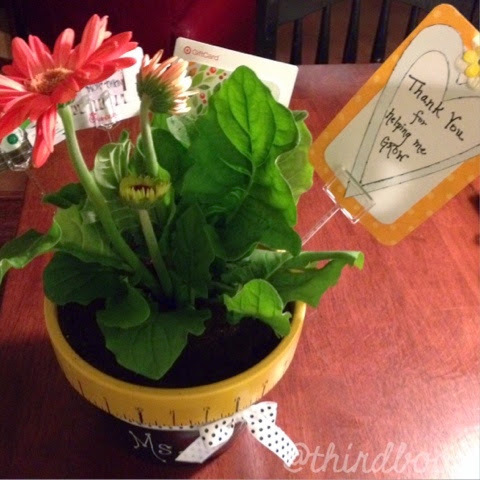 9) plant your flower. i love gerber daisies so of course that was my flower of choice. 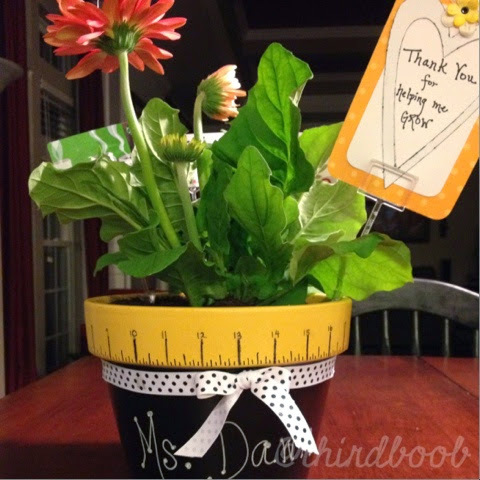 10) arrange the flower picks in the soil and have your kids present them to their amazing teachers. enjoy! is it time to throw in the towel?